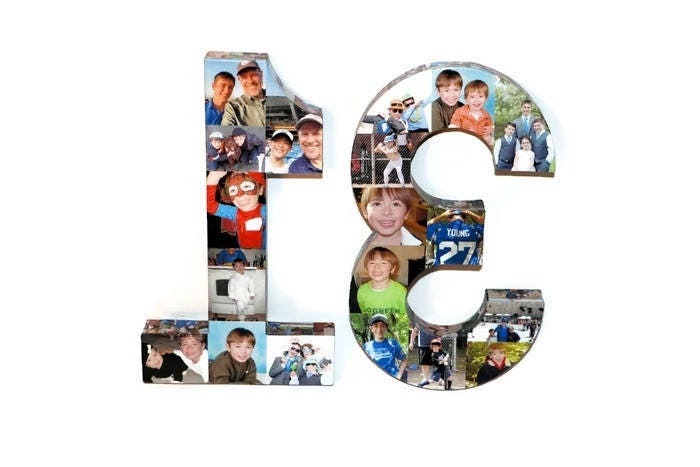 Display your photos on the number 13 to use at a bar mitzvah or bat mitzvah. 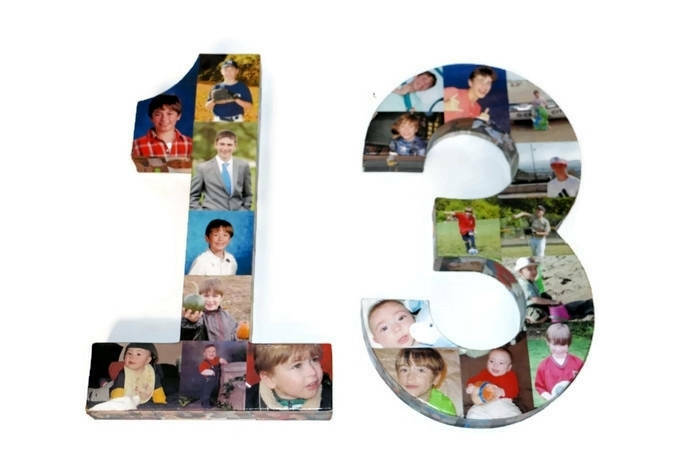 These numbers are perfect for displaying photos of your child growing up and is a perfect centerpiece at the party. 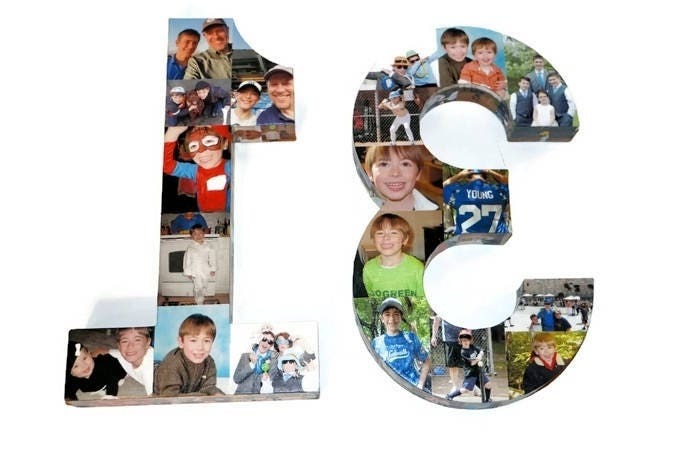 It is also the perfect keepsake. 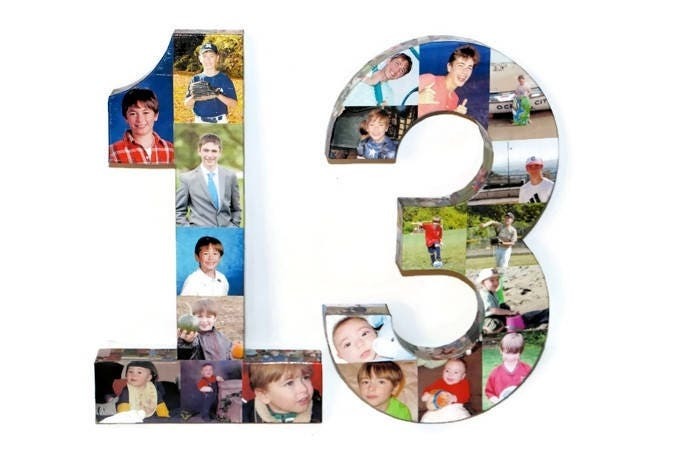 The number 13 holds about 100 of your most precious photos. Choose the size you'd like by selecting the size in the drop down menu at checkout. 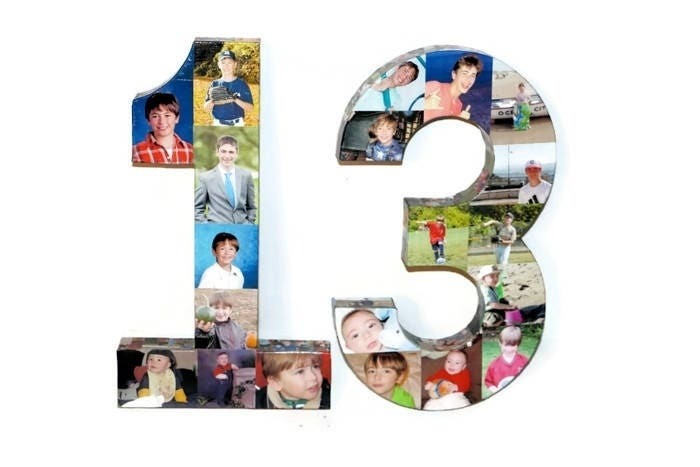 The numbers will stand on their own or a stand will be provided. For the number 3 a stand will be provided. Love it! Beautiful work! 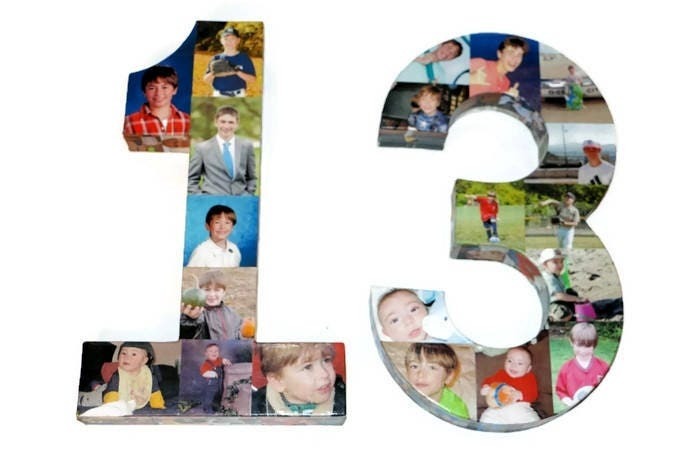 Can't wait for my son to see this on his 13th birthday! Will definitely buy again. Great product, quick shipping! And amazing customer service.